The KX-1 measures at just 5.2cm x 2.6cm x 4cm making it 40% smaller than our previous K-Series Model. Weighing just 69g, the KX-1 is also 20% lighter than our K-Series, making handsfree video capture easier than ever before. The KX-1 boasts excellent performance when capturing low-light footage, allowing you to shoot fantastic video even in fading light, increasing the length of your photoshoots. Recording at 4K, the KX-1 has a max bitrate of 58 Mbit/s. As well as settings great for handsfree video capture, the KX-1 also has settings to enable broadcast quality video capture for professional and prosumer use. Capturing perfect stills at 12MP, the KX-1 comes with a variety of photo modes. The Photo burst mode allows you to take up to 10 photos per second; ideal when trying to achieve the perfect action shot. Photo interval shooting allows you to continuously capture timed photos from 1-60 seconds, allowing you to capture a variety of your greatest action moments over a period of time. A popular feature from our K-Series range, the 180 degree rollover, has also been retained, meaning if you are mounting your KX-1 upside down the footage plays back the correct way up. 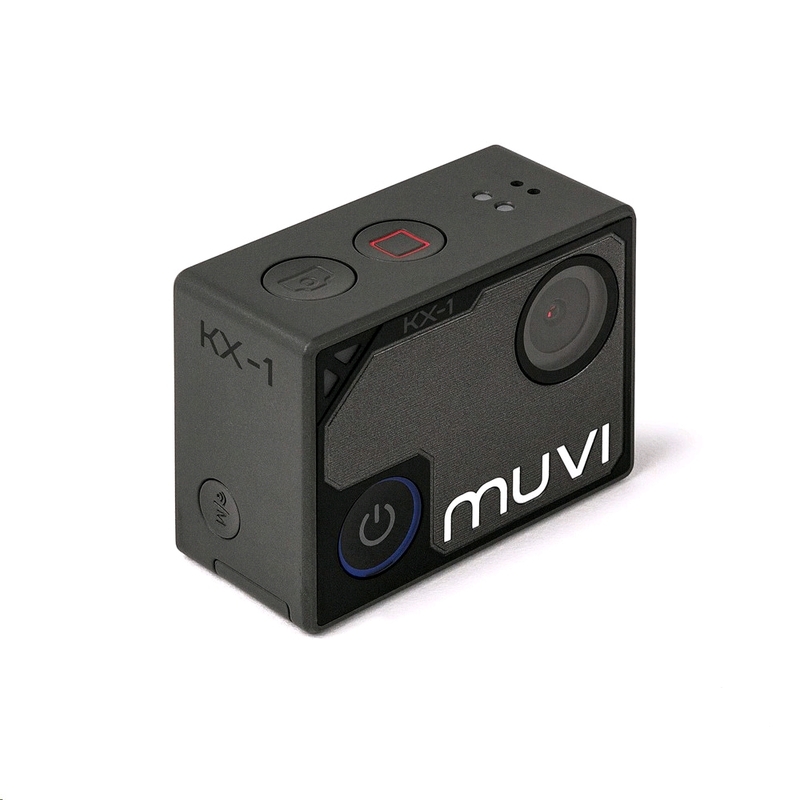 Also G-sensor auto-start features, which allows you to set your KX-1 to start recording from a movement of the camera. The KX-1 has an interchangeable, rechargeable lithium-ion battery with a capacity of 1050mAh, allowing up to 3 hours of recording. The batteries are easily interchangeable too, so the purchase of spare batteries will increase recording time without creating inconvenience. The KX-1 also features a built-in 1.8” LCD touch screen, allowing you to playback footage and change menu settings with ease. The LCD Screen can also be used as a viewfinder. 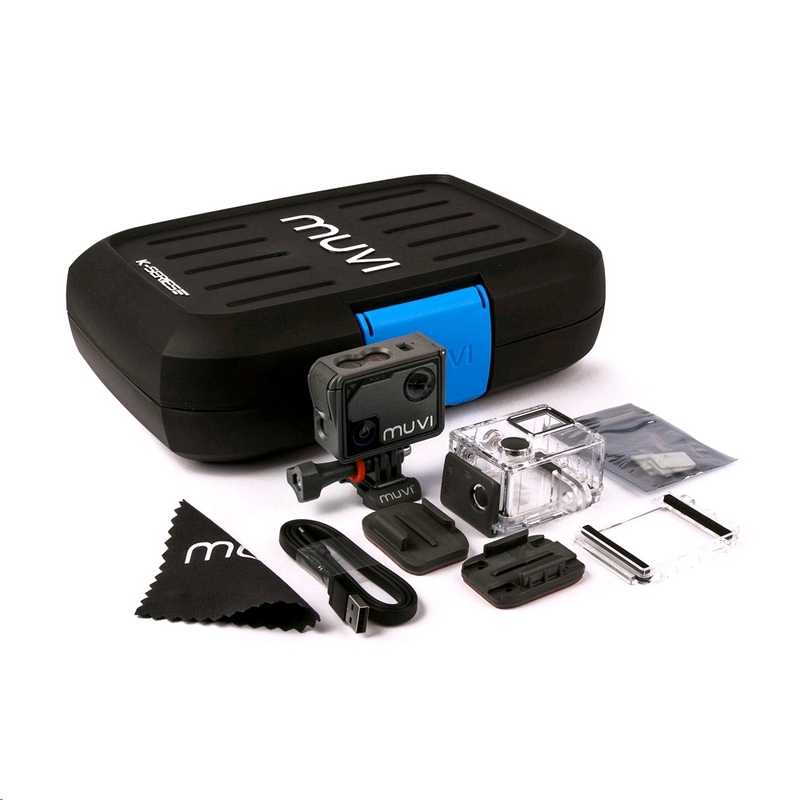 Shipped in a rugged carry case perfect for travelling with your camera, the KX-1 box contents includes a waterproof case; enabling dives of up to 40m and has operational buttons for video control and photo capture underwater. The waterproof case comes with an additional back door which can be easily interchanged, this enables you to fully operate the LCD touch screen whilst using the case on-land, however when using this back door the case is not fully waterproof. 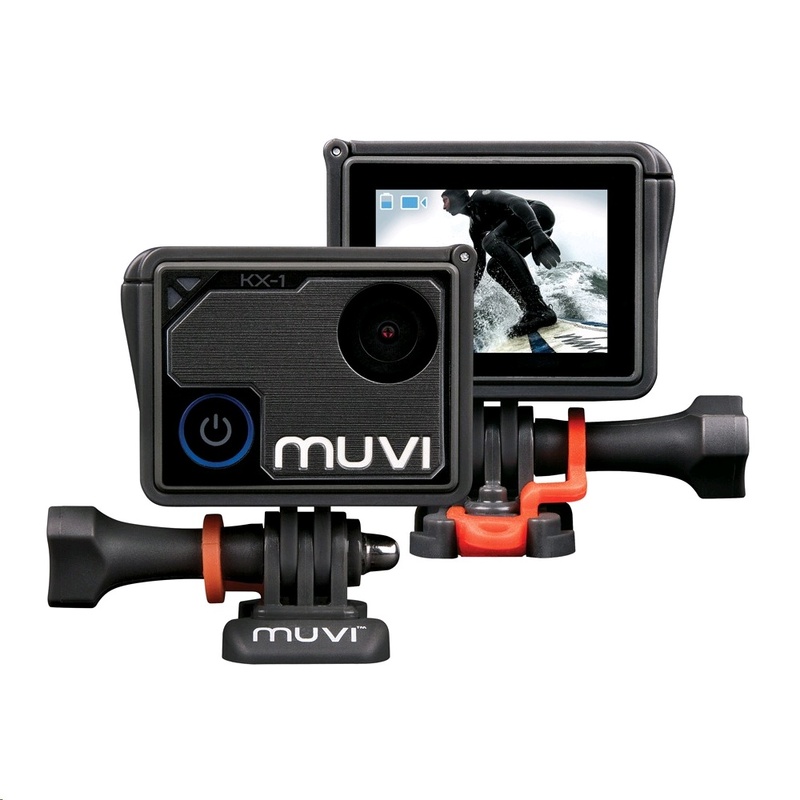 Additional supplied accessories include a quick release frame for camera protection when not in the waterproof case, curved and flat adhesive mounts, USB cables, anti-fog inserts, lens cloth, decals and a product user manual. With a 60m wireless range, you can connect and pair with your smartphone whilst recording footage on your KX-1. 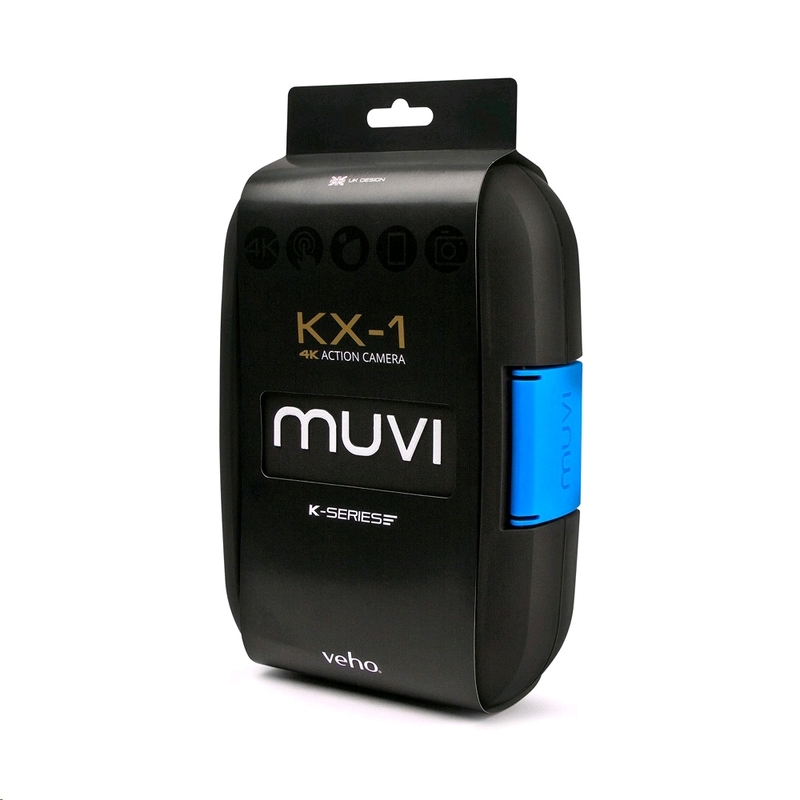 The Free Muvi App (Available on Android and iOS) allows you to connect your K-Series camcorder wirelessly to your smartphone so that you can now stream videos your smartphone or tablet from your KX-1. 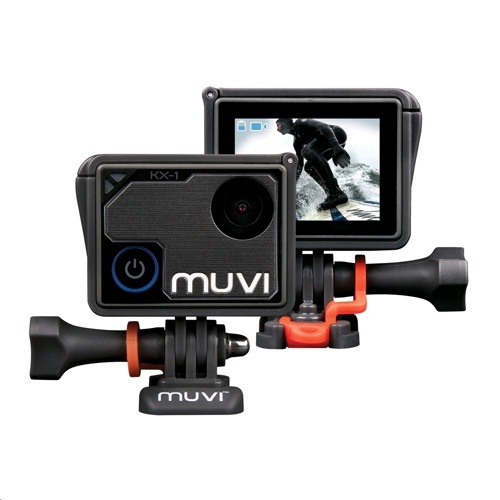 You can also record videos and take photos and share these through email, Twitter and more. 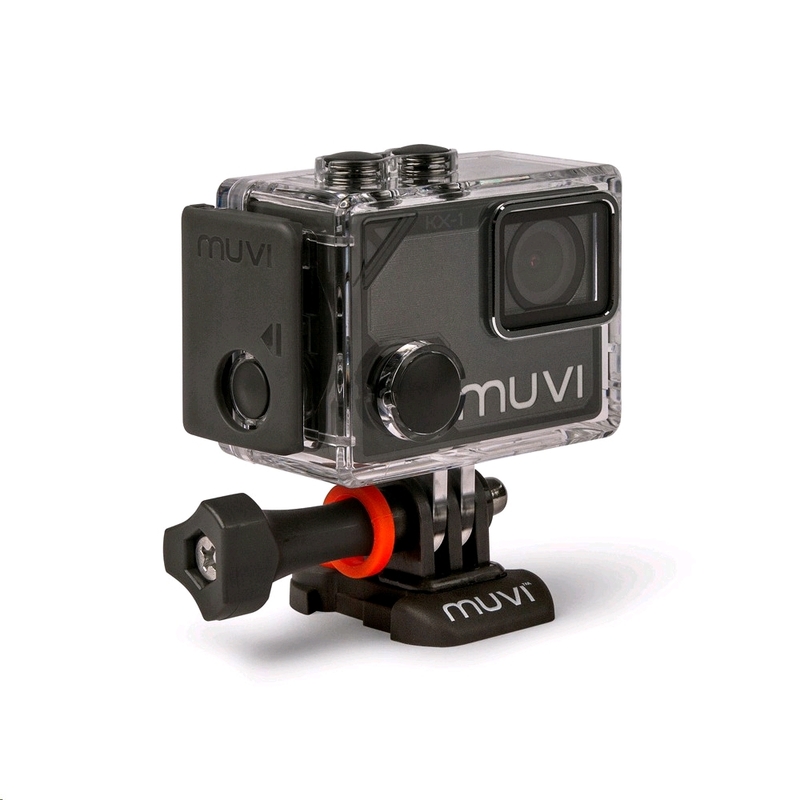 Really easy to use and records quality footage!! Would highly recommend! !